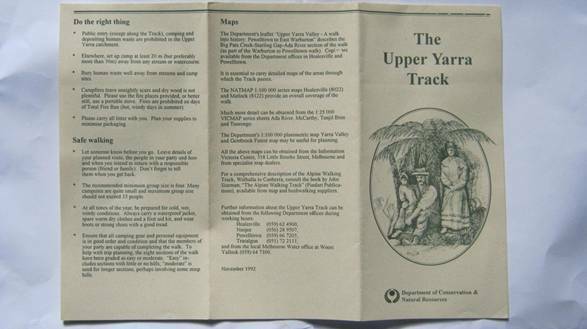 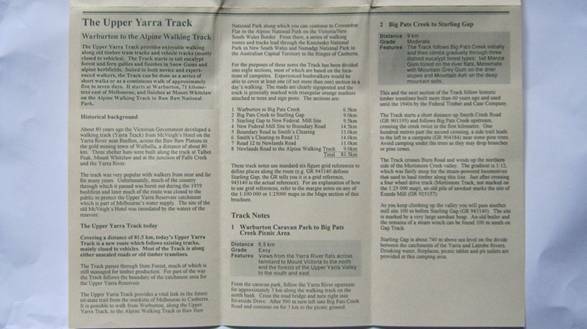 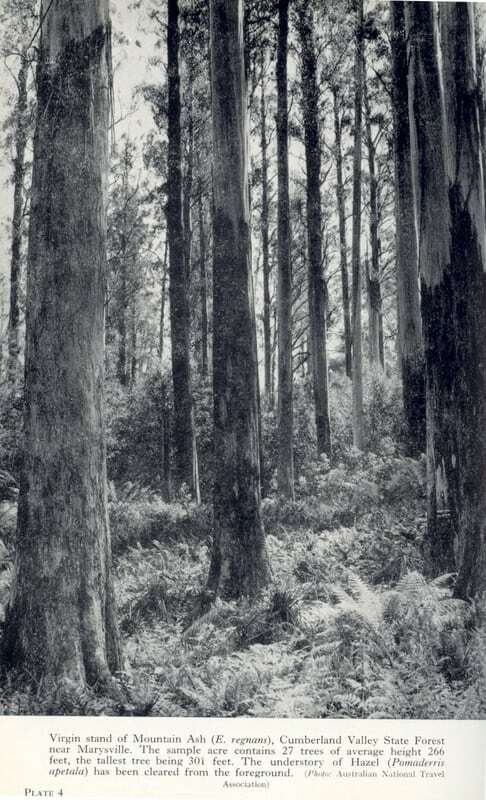 The Upper Yarra Walking Track, Australia’s oldest (& best), an approx. 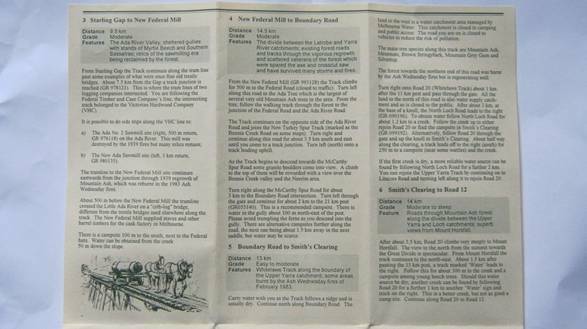 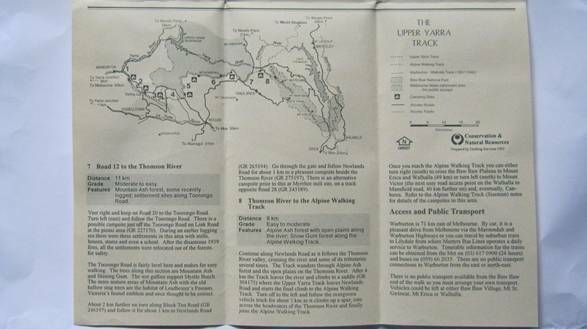 ten day walk with numerous resupply points, plentiful water and camping spots now extending from Moe Railway Station @ 208kilometres up the Latrobe, Tyers & Thomson River valleys, via Yallourn North, Erica & Walhalla, across the Baw Baw Plateau, along the Upper Thomson River, past the Yarra Falls & Mt Horsefall, along the Little Ada, Ada and Yarra valleys via Warburton to Lilydale Railway Station. 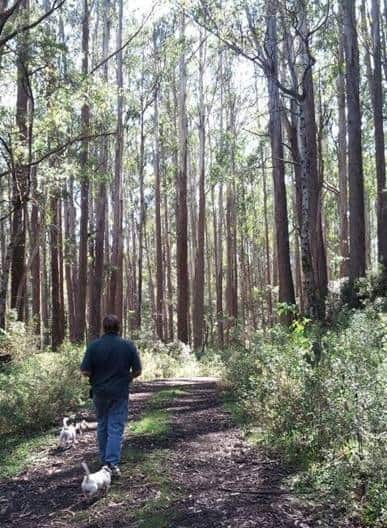 I am just building this site, so DO come back. 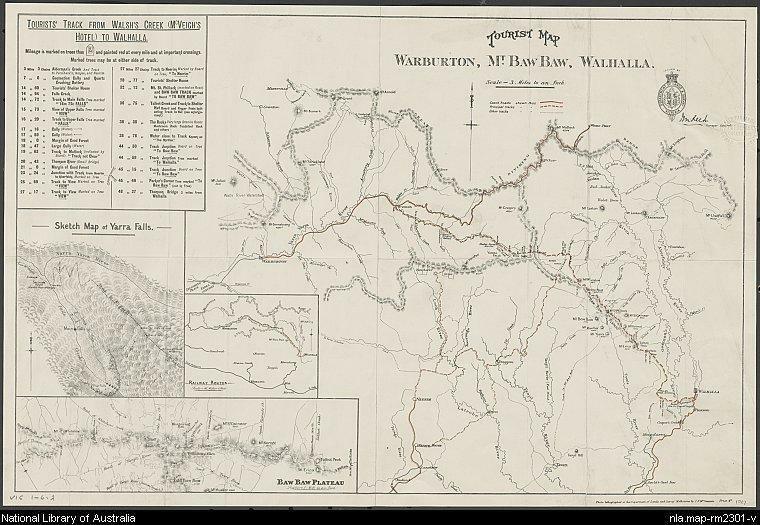 Warburton: Richards Tramline Walk: http://walkaboutersvic.blogspot.com.au/2012/09/richards-tramline-yarra-ranges-sunday.html NB You could continue on to the ADA Tree.